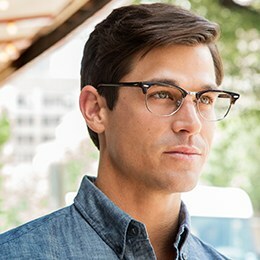 Looking for glasses that won’t fall off? Cable temple glasses are the perfect solution for those slippery frames! Glasses with cable temples, also known as curly temples, have temples that curve over your ears. These curved components are on the end of the eyeglasses stem, adding security and comfort to your glasses. A fun and unique vintage style! As the name implies, this one’s perfect for the avid outdoorsman! 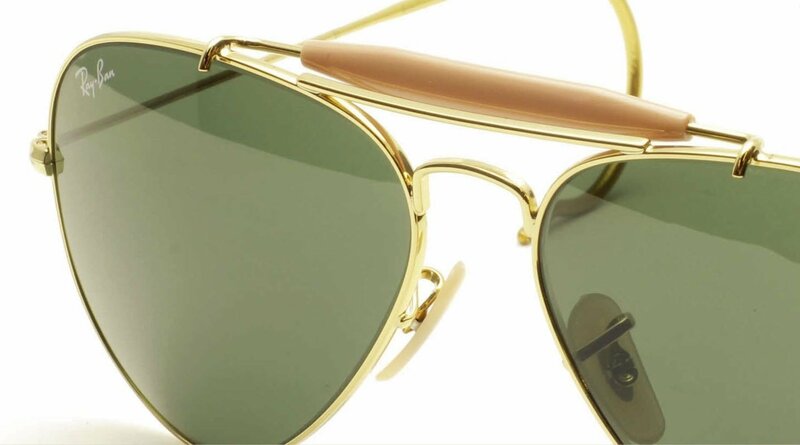 As the customer reviews can attest to, Ray-Ban’s Outdoorsman Aviators with Cable Temples look stylish, feel comfortable and stay on no matter what you’re doing, from hiking to motorcycle riding. Features: double bridge, enhanced brow bar, adjustable nose pads, full metal frame and UV protection. This is a classic look that will always be in style. Since 1982, Randolph Engineering sunglasses have been standard issue for the United States Military. These are tactical and practical; they look great, built solid and hold snug to your head, thanks to the cable temples. Features: Corrosion resistant Monel (metal alloy with copper and nickel), adjustable nose pads and flattering round lenses. Known for their exceptional craftsmanship and refined elegance, Art Craft has been making fine quality eyewear since 1918. These cable temple glasses embrace a retro vibe that fits right in with modern styles. Features: all metal construction that holds strong and adjustable nose pads with silicone tips. These are true vintage! Every Savile Row piece is custom made by hand in a nearly 100-year-old factory in London. They add class and quality construction to every look, and they supplied the iconic frames worn by Daniel Radcliffe in the Harry Potter series. These are perfect for avid readers, and FramesDirect is the only authorized online dealer of Savile Row eyewear in the USA. Features: 18kt rolled gold frame and finished in either 18kt gold or rhodium plating, adjustable nose pads, progressive lens friendly. Shuron has provided distinctive, high quality frames for over 150 years, and the Ronstrong frames are no exception. The cable temples add extra comfort and a secure grip, and you have a variety of metal finishes to choose from. Features: adjustable nose pads, monel frame (metal alloy with copper and nickel), corrosion-resistant construction, removable cable temple cover. If you want glasses that won’t fall, or glasses that are perfect for motorcycle riding, cable temple glasses may be your best bet! These are just a few of the cable temple glasses and cable temple sunglasses available at FramesDirect.com. Click the button below to see even more!